Stamped concrete patios and walk ways have become incredibly popular ways to beautify your exterior space without breaking the bank. Stamped concrete mimics stone, brick, or tile, without the high cost of the substrates it is replacing. However, harmful UV rays from the sun will eventually break down the sealer and the color on your stamped concrete. Stamped concrete needs to be maintained over the years, and many contractors are not equipped to restore old stamped concrete to its original beauty. 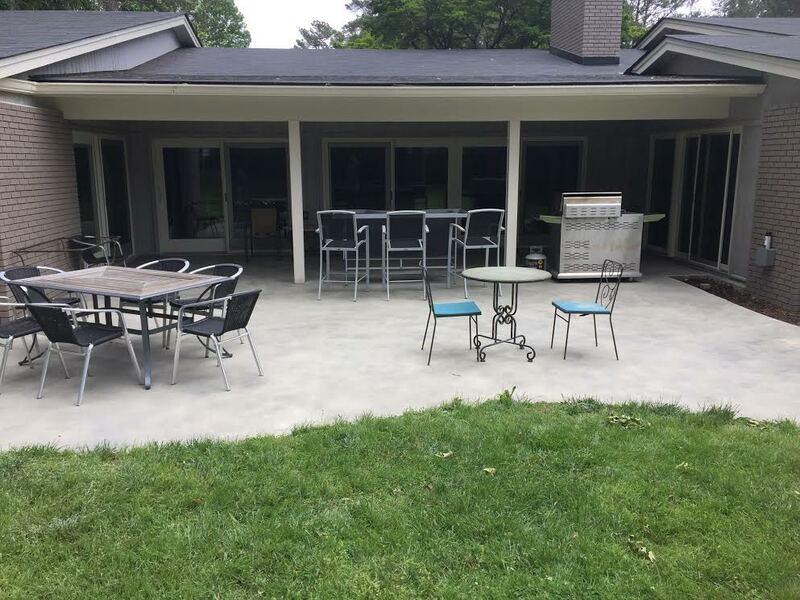 Freshwater Concrete Finishes has the experience and knowledge necessary to undertake any form of maintenance for stamped concrete. 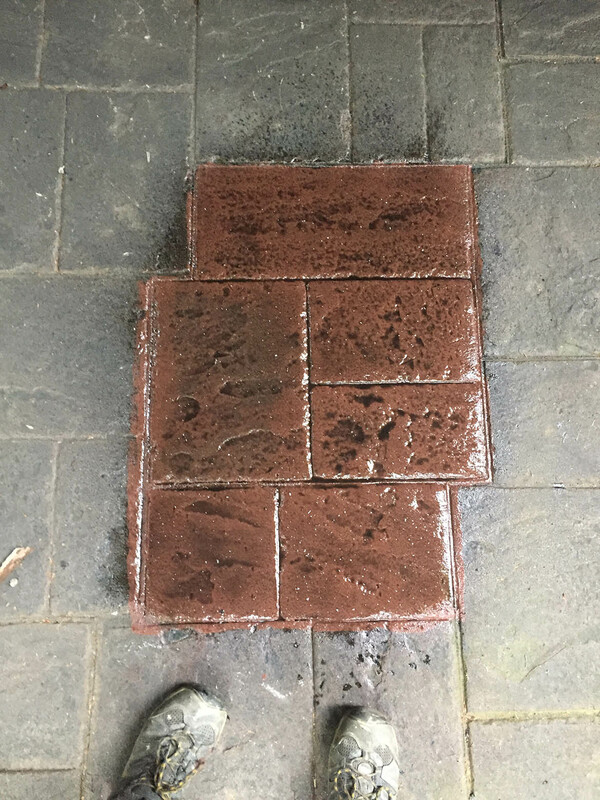 We use a mixture of clear sealer and colored dye to restore the light or vibrant color that your stamped concrete used to have, or we can completely change the color if you want to go in a new direction. Let us help you take your stamped concrete back to its original beauty, without any fuss! Retaining walls made of pre-cast concrete blocks are very popular in the mountains of Western North Carolina. These block walls can be an eye sore and not lend any beauty to the surroundings. 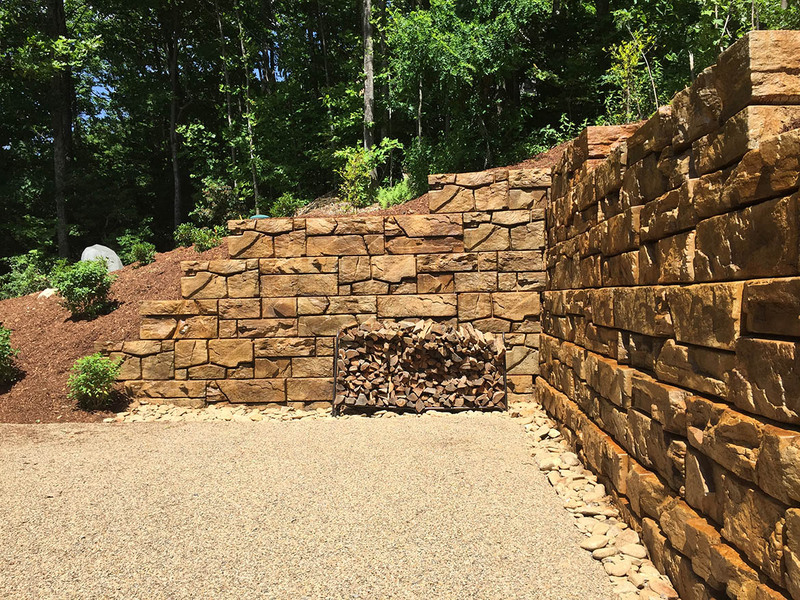 Using our custom mix of natural stain colors, we can create natural looking stone colors for your block wall that will accentuate the beauty of your property! 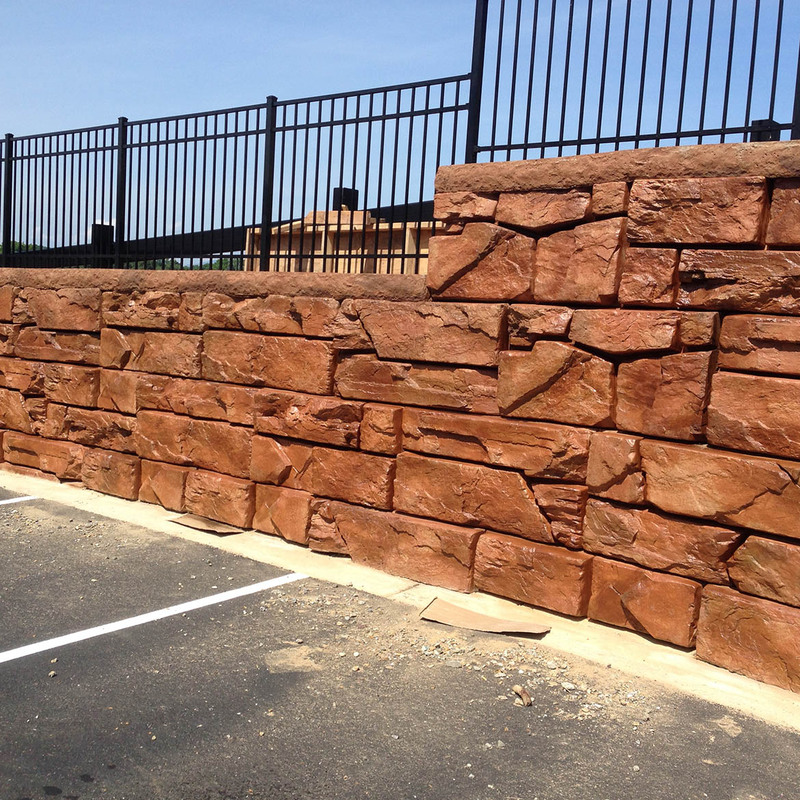 We use a flat finish sealer for this application, which leaves your retaining wall looking like the natural stone wall you always wanted! Do you have a pool deck or patio that needs some love? We have multiple applications for pool decks and patios that will hold up to UV ray damage and leave your space looking brand new. The applications that we can provide include: staining, sealing, solid color coatings, pebble stone coatings, and more! Don’t let your pool deck or patio be neglected… Give it the facelift it has always wanted! We are always up to the challenge to find the right application for your project, so even if you don’t see what you want listed, give us a call! We are happy to figure out a solution for any project that you can come up with. Go with the experts on this one, and we will help you get exactly what you are looking for!